Following our global release of Space Miner Wars, I wanted to kick off a series of hopefully not-too-infrequent posts that detail various elements of the game for new players, offering both behind-the-scenes details on their inception and also ways to help you improve your space mining career by making the most of them! So, if you’ve been following the game, you’ve probably noticed a giant space base is featured rather prominently! What the heck is this base? That’s your base! One of the most iconic elements of the original Space Miner was the visual of your ship flying back to base after a mission or mining run, but that base was nothing more than an illustrated 2D image. As we brainstormed ways to improve the Space Miner formula, we realized that beyond upgrading and customizing your ship was the idea of upgrading and customizing your base! Improving your defenses, building research labs to craft ship modifications, even things like constructing a space-cruise terminal to draw in space tourists were all ideas that made it into the game. Each player gets their own mining base, and can outfit it with the latest in defense technology, ranging from missile launchers to self-destructing Explodie-Bots. You can attack another player’s base in a bid to steal some of their resources, but you’ll need to avoid their defenses to do so. Wait, PvP? Is this Clash of Clans!? There is indeed PvP, but Space Miner’s core gameplay is about flying your ship around and blowing stuff up, not dropping down units and watching them have all the fun! 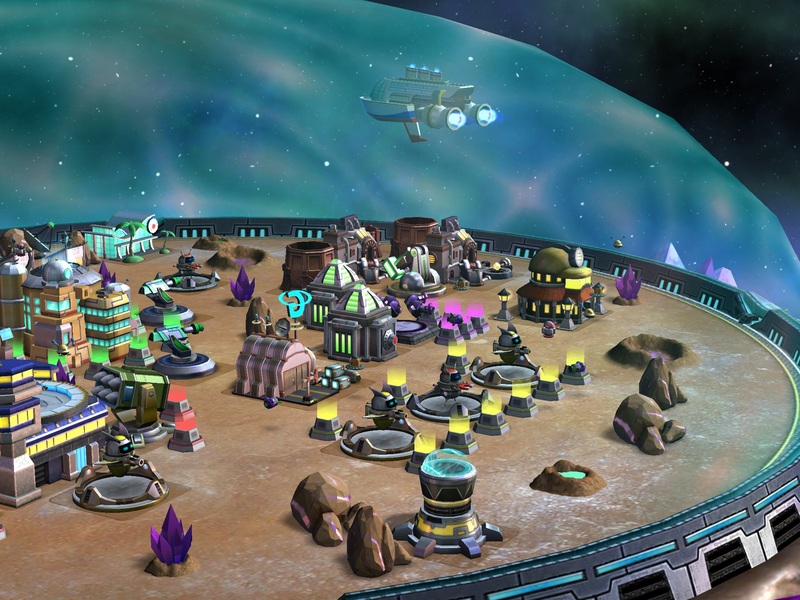 In Space Miner Wars you fly YOUR ship around other players’ bases to blow them up and steal their resources. Same controls as space mining — so if you’ve played Space Ore Bust you’ll know exactly what to expect. We’ll get into the PvP action in a later post. For now, let’s take a closer look at some of the buildings you start with on your base. This building with the glowing core is your Headquarters; the center of your space mining operation! By upgrading your HQ, you’ll unlock new structures and defenses to build, increasing your overall influence in the Vega System and making it harder for enemies to loot your base. 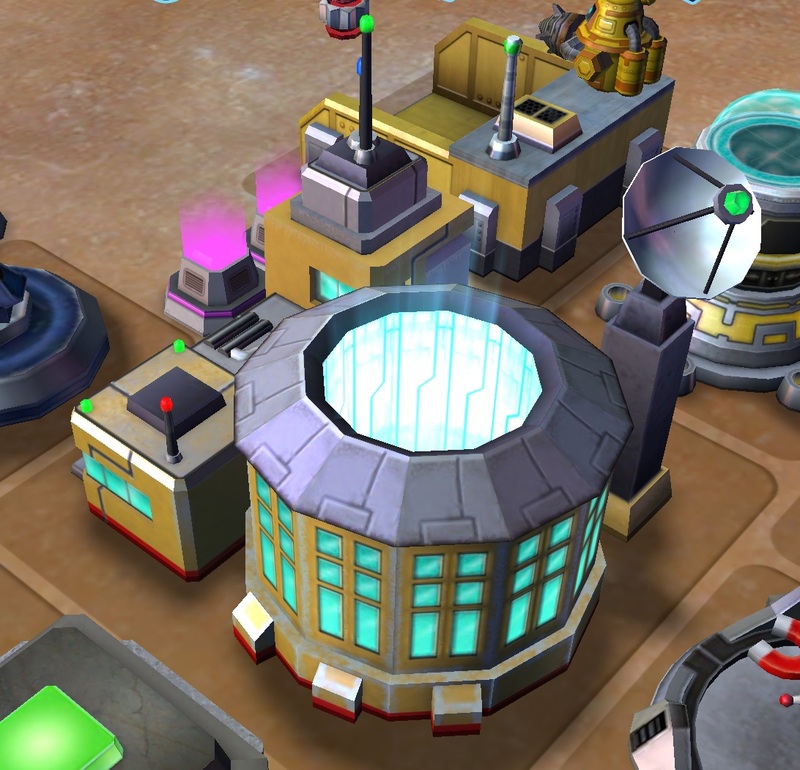 To upgrade your HQ, you’ll need to increase your License Level by building new structures and upgrading them. Each time you complete construction, you’ll get experience that helps to increase your License Level. Elsewhere on your base, you’ll notice that you have two of these big rectangular stations, one filled with asteroid ore and one filled with scrap metal. These are your Transfer Depots! Once you’ve captured a resource base of the associated type, your mining drones will start filling up the matching Transfer Depot with either scrap or credits. 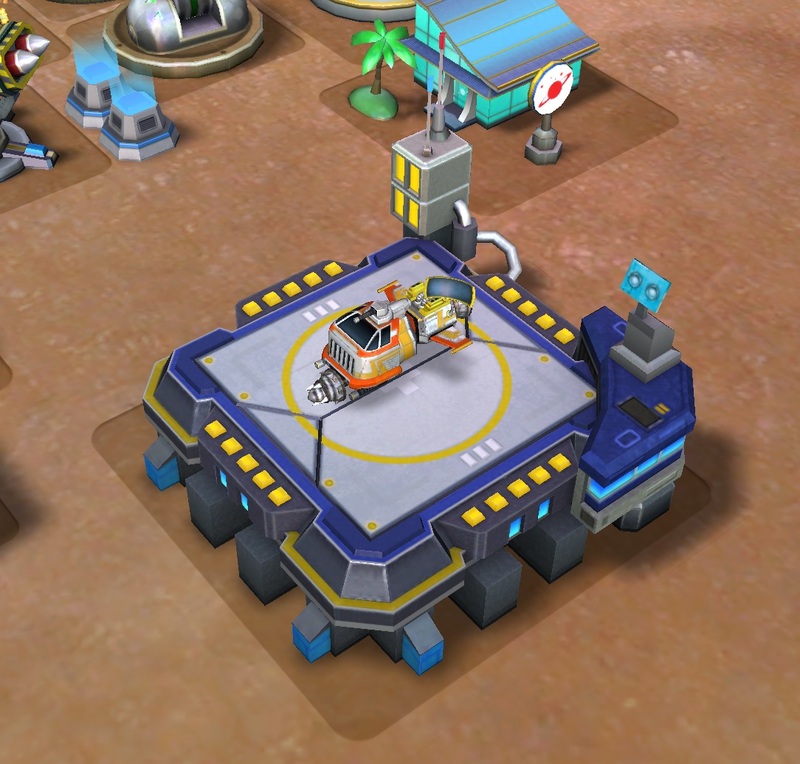 As you capture more resource bases, you’ll fill up your depots quicker. Just remember to empty them once in a while, otherwise your stored resources can be stolen by attacking players! But how can you capture more resource bases? 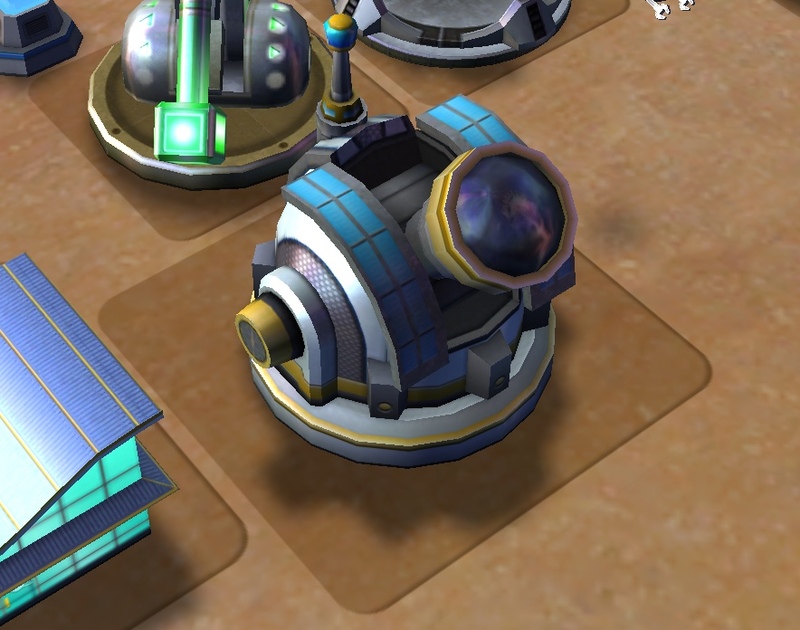 To find them, you’ll need to explore more of the Vega System, and you do it by upgrading your Observatory! This big telescope here is your Observatory! Every level you upgrade it, you’ll uncover a new section of the Vega System, revealing a new resource base to capture, along with possible mission and mining opportunities. There are currently 12 regions of space to unlock beyond the starting area, each one unlocking new sectors to explore and allowing more mining and mission sectors to appear simultaneously on your map. Lastly, let’s take a quick look at your Spaceport, home of your space mining ship fleet! This is where you’ll go to customize your ships, equip Ship Mods, and view your stats. 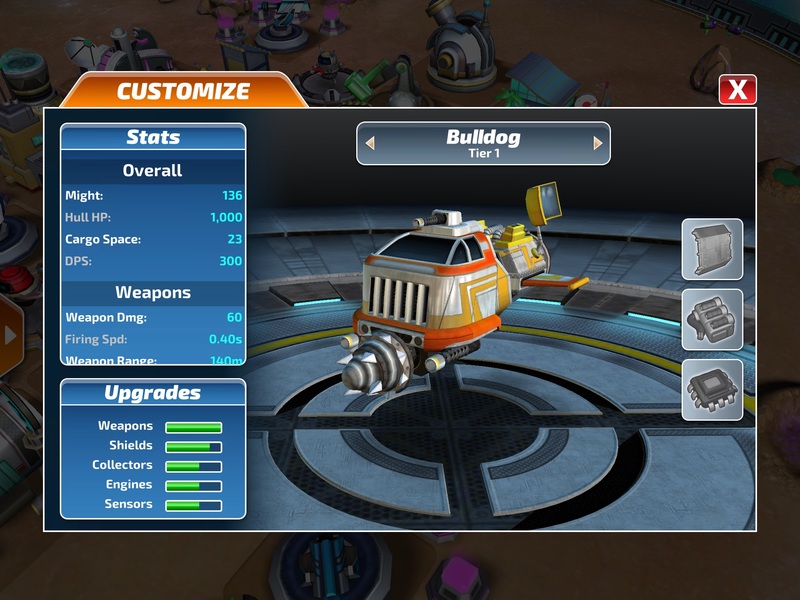 If you tap on your Spaceport, you’ll notice a unique wrench-shaped icon in the menu — tapping on it will bring up your Ship Customization screen. From here, you can view your Stats on the left, equip Ship Mods by tapping any of the Mod Category buttons on the right, or switch your actively-selected ship hull by tapping the arrows on either side of the ship name (you’ll only see them if you have more than one ship hull available). We’ll talk about Ship Mods in a later blog post — but trust me, you’ll want to equip those when you find them! You can also rotate your ship with a flick of your finger! 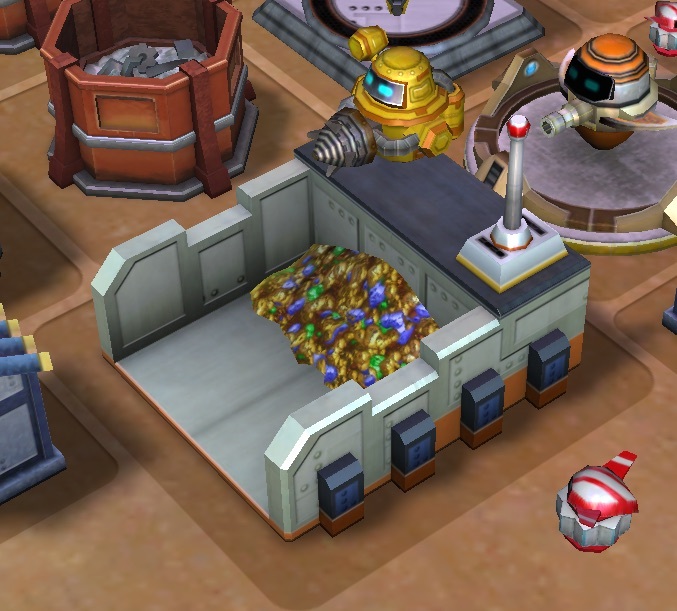 Next week, we’ll cover a new mechanic in Space Miner Wars! If you have a question about the game, head over to our forums and let us know!